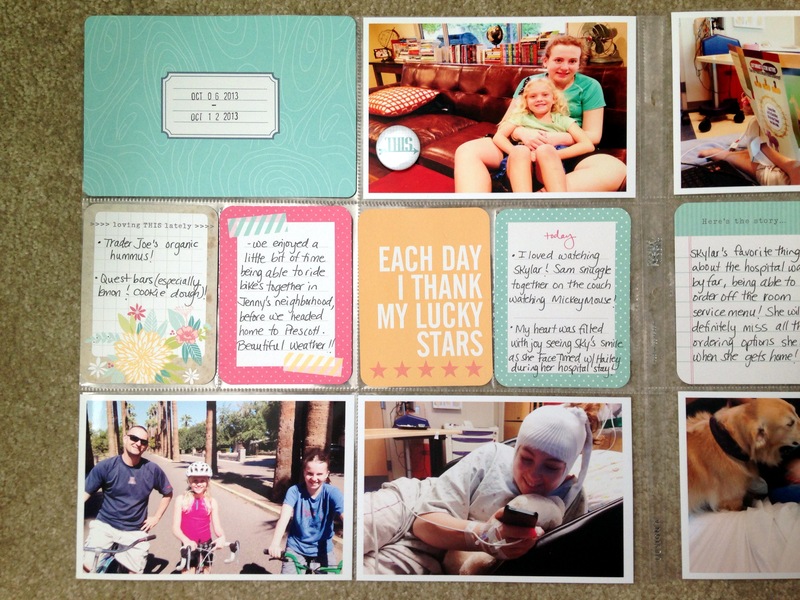 Project Life 2013: Weeks 41 & 42 | I am JuJu! Hello my friends! 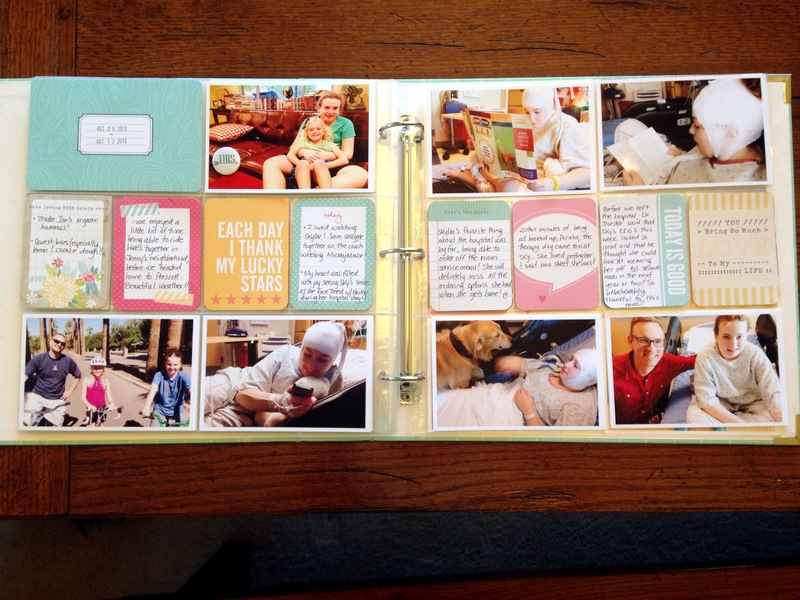 Happy to be sharing a couple of weeks of Project Life pages with you today! 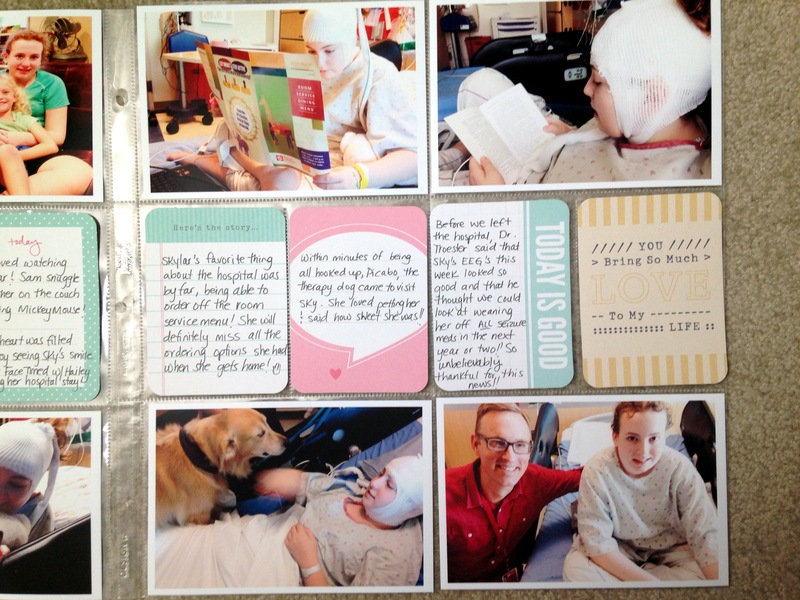 The first week I’m sharing is the week that Skylar was hospitalized for extended EEG monitoring & seizure medication change. 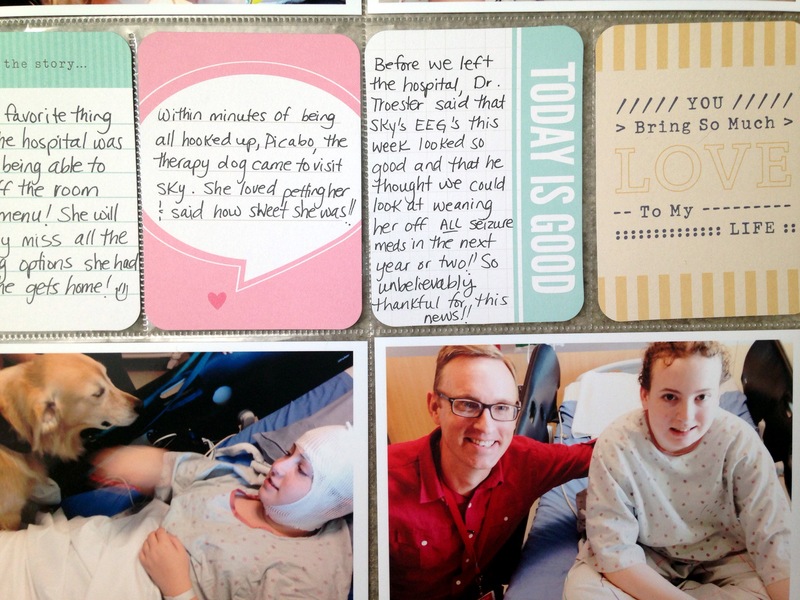 I actually put these pages together the morning after we got home. I wanted to get my thoughts down before I forgot some of the details. I put these pages together in about an hour, which included the time I took to edit & print the photos. I love the simplicity of this week! The next pages I added a few embellishments, but not many. 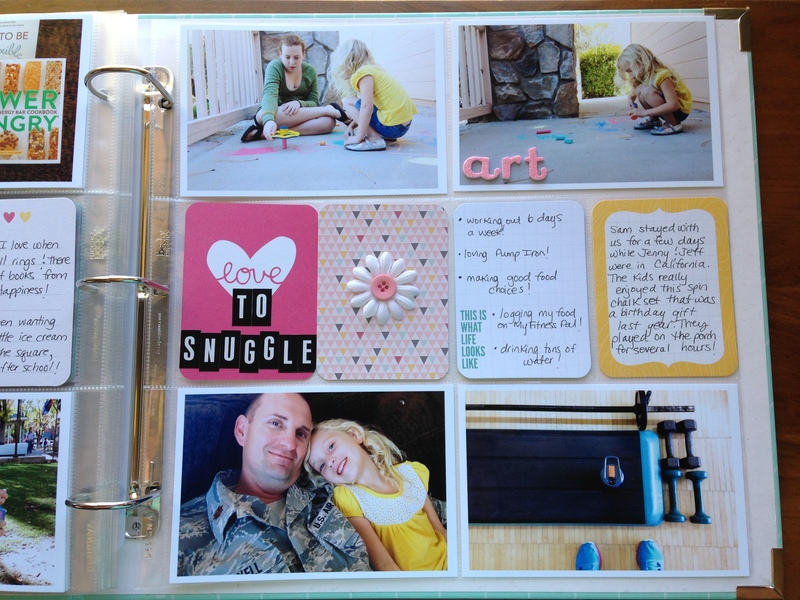 Again, I enjoyed the simplicity of my pages and really just wanted the focus to be on my pictures & journaling. 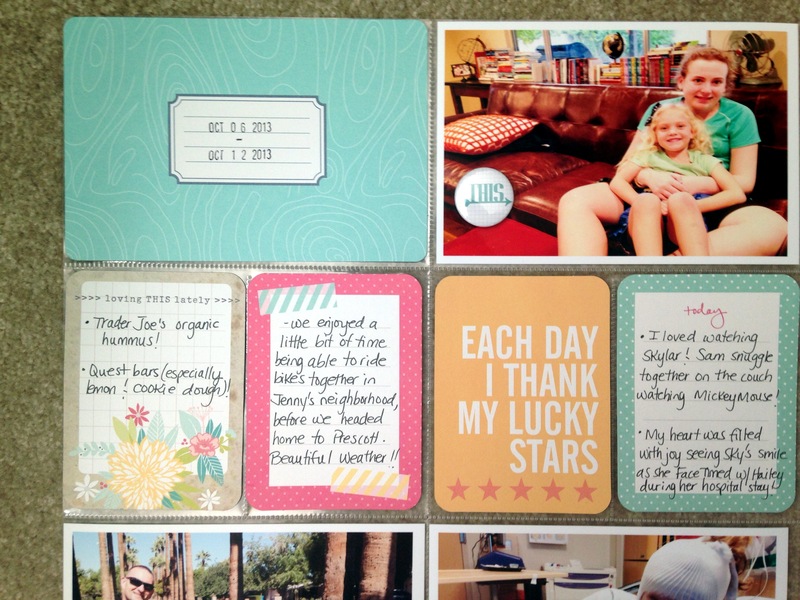 I’ve really enjoyed mixing & matching my Project Life kits. These two weeks used cards from the following editions: Blush, Honey, Seafoam, & 5th and Frolic. 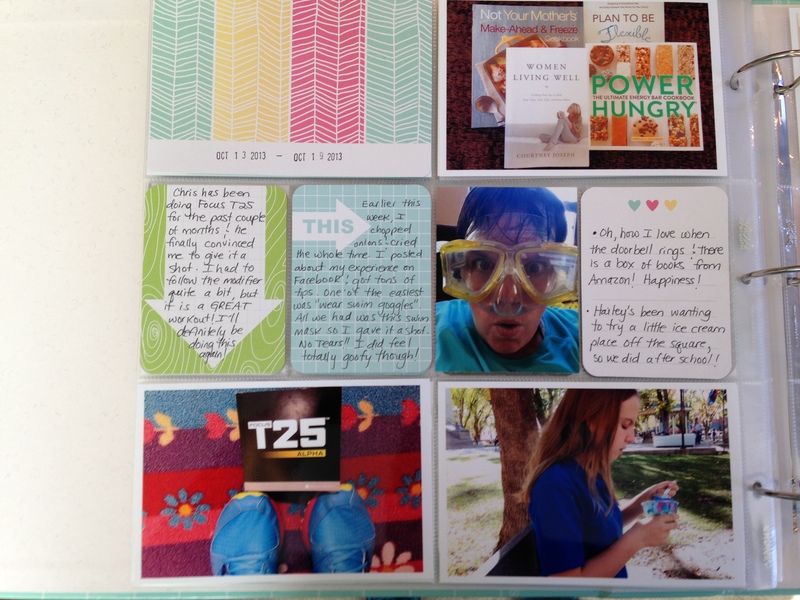 If you are interested in seeing how I organized all my Project Life Kits together, CLICK HERE! Thanks for stopping by, I am also linking up with The Mom Creative. 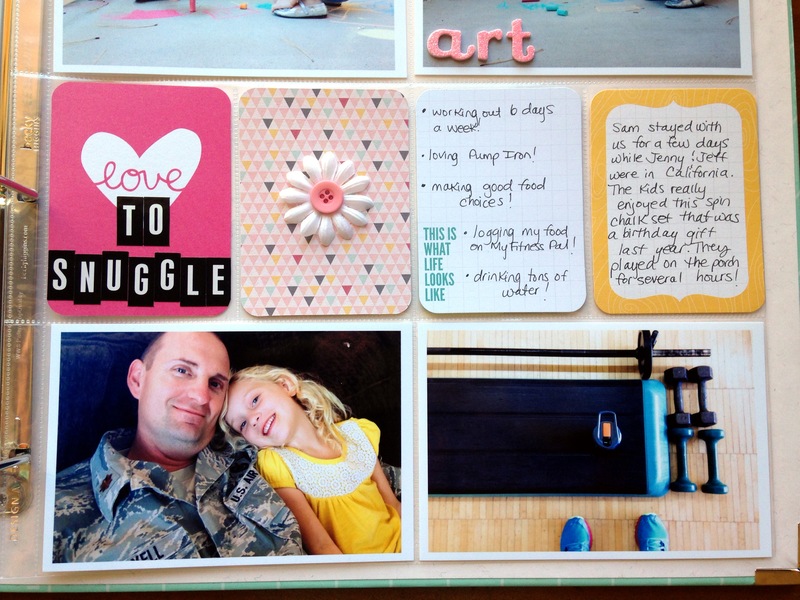 Check out all the other great Project Life pages shared. This entry was tagged 5th & Frolic Edition, Blush Edition, documenting everyday life, everyday life, Honey Edition, life, project life, seafoam edition. Bookmark the permalink. here early in the break of day, because i like to learn more and more.